While Claremont McKenna College doesn’t have an established program to support students interested in arts, students still have access to many art resources at The Claremont Colleges. Here are a few to get you started! The ensemble performances are held in Garrison Theater. It has a 630 seat capacity. The Joint Music Program of Harvey Mudd, Claremont McKenna, Scripps, and Pitzer is a bit of a secret among students at the Claremont Colleges. The Joint Music Program is home to three ensembles: The Claremont Concert Orchestra, the Claremont Concert Choir, and the Claremont Treble Singers. Becky Ackley, the coordinator of the Joint Music Program, expressed that the program is lacking in students from Pitzer and CMC. All three ensembles enroll 80% Harvey Mudd and Scripps students, despite the Program sending out an email to all students at the four colleges at the beginning of each year. The Joint Music Program coordinators hope to make the program more visible to all students. Auditions for all the ensembles are held in the Fall and in the Spring. The Fall auditions are held from September 2 through 4. Auditions for the spring semester are held during the first week of classes. Audition sign ups for the choirs and orchestra can be accessed online. If you are interested in auditioning, contact Professor Kamm at ckamm@scrippscollege.edu. The stage at Garrison Theater. Finally, students are also encouraged to take private voice, piano, and violin lessons. Students can sign up for violin lesson audition online at the Joint Music Program Website. For voice and piano lesson auditions, students must visit the Scripps Performing Arts Center and complete the audition sheets hanging outside of professors’ doors. Sign ups for the spring semester begin right after students return to campus after winter break. The Concert Orchestra, which is open to all majors, currently has 60 students performing music from the 18th century through the present. Interestingly, more non-music majors participate in the program than music majors. The Concert Choir is open to all genders and performs pieces from the Baroque period all the way to the 20th century, as well as a capella pieces. They currently have 35 students, with a maximum capacity of 70 students. The Claremont Treble Singers is a women’s choir with 45 students. They practice music originating from the middle ages through present, as well as a capella music. For events, check out the Joint Music Program Facebook page. Recitals for students taking private lessons are held in Boone Recital Hall. It has 100 seats. All tickets and concerts are free to the public. Many of the Scripps art classes take place in the art building at Scripps (next to the Ruth Chandler Williamson Gallery) . All students are welcome to enroll in Scripps art classes. Some art classes display student work in the Art Office. The Ruth Chandler Williamson Gallery has exhibitions throughout the year, including prominent artists as well as the art of graduating senior art majors. All events on the calendar are free and open to the public with food and refreshments provided. The gallery also offers paid internships throughout the school year, which are only available to Scripps students. For events, visit their website. 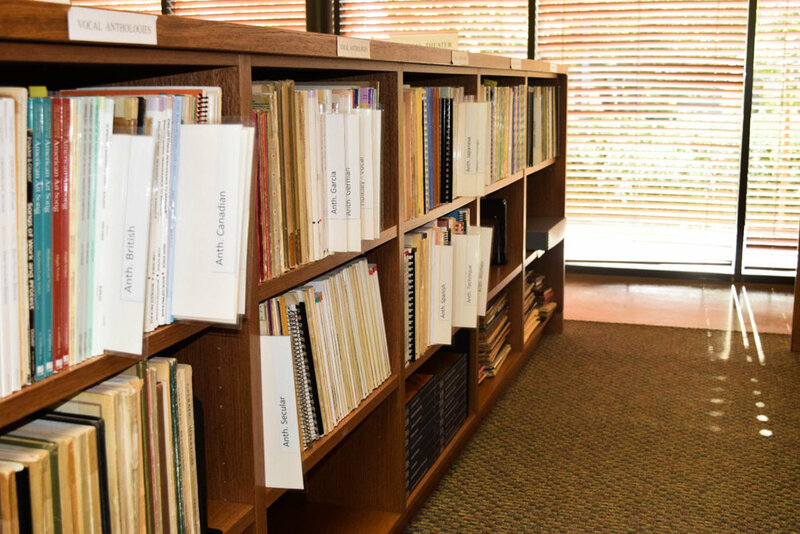 The Nancy-Glanville Music Library contains many scores and recordings. It is located right next to Garrison Theater. In addition to these facilities, Scripps has the Balch Auditorium, the Richardson dance studio, and piano practice rooms. 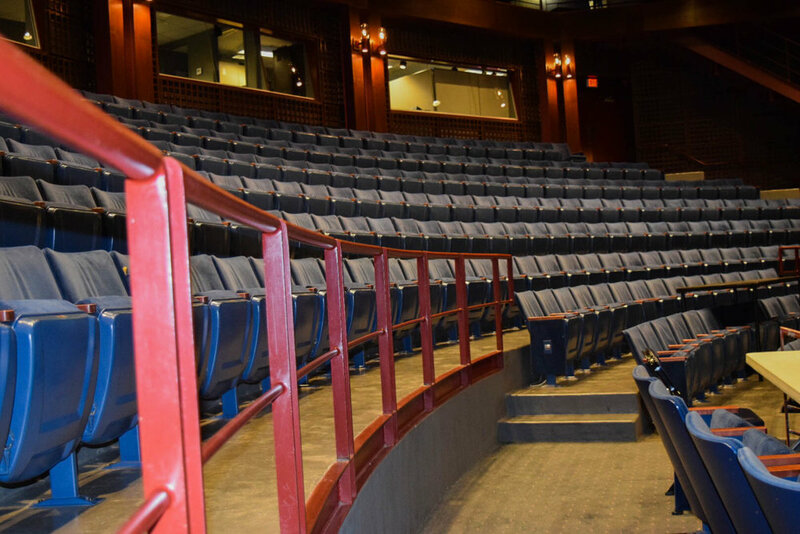 The Byron D. Seaver Theater is a beautiful venue where the department of theater and dance hosts their shows. 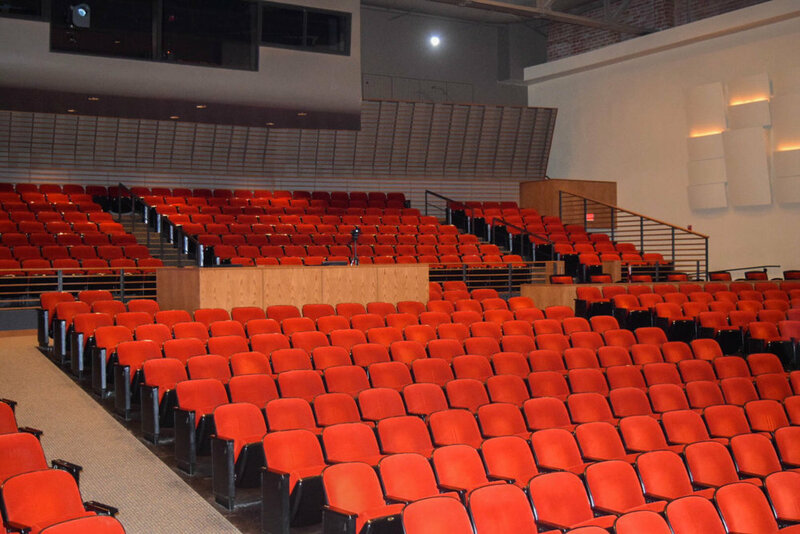 There are two theaters: the Seaver Theater; and the Allen theater, which is more intimate. Students from all schools are invited to audition for the productions. I recently attended “Water by the Spoonful,” a beautiful production written by Quiara Alegria Hudes and directed by Diana Wyenn. It explores the struggles of drug addiction within a family from Puerto Rico. Cathy Seaman, the Program Administrator, was kind enough to provide me with a complimentary ticket. The production was breathtaking and the students displayed incredible emotion in their acting. While this play is no longer showing, “The Government Inspector” is coming to the theater from November 15 to 18. 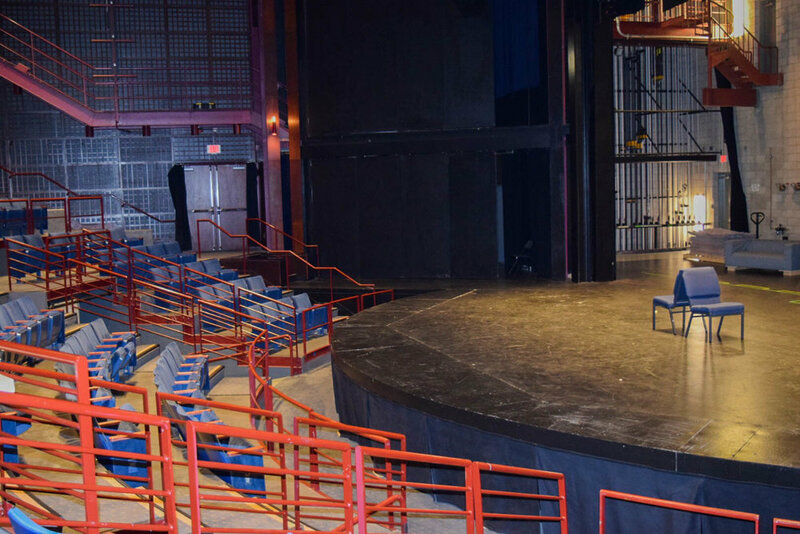 Find more information about the theater department on their website and purchase tickets to upcoming events. The Pomona College Museum of Art is a small museum that changes its exhibit every semester. While I visited, a Pomona art history class was taking a tour. The museum currently holds the work of the late Marcia Hafif, who is a Pomona alumnus. She is a painter of experimental canvases and minimalism. The exhibition contains her paintings, as well as architectural designs and sculptures. Admission is open and free to the public. The brand new Pomona Studio Art Hall was completed in 2014 and holds all of Pomona’s art classes. It is a beautiful, wide open space with many windows and natural light. The Chan Gallery is on the first floor and holds student work. The gallery is open Monday through Friday, 10 a.m. to noon, and 1 p.m. to 4 p.m. Finally, The Hive is a resource that is available to all 5 schools. 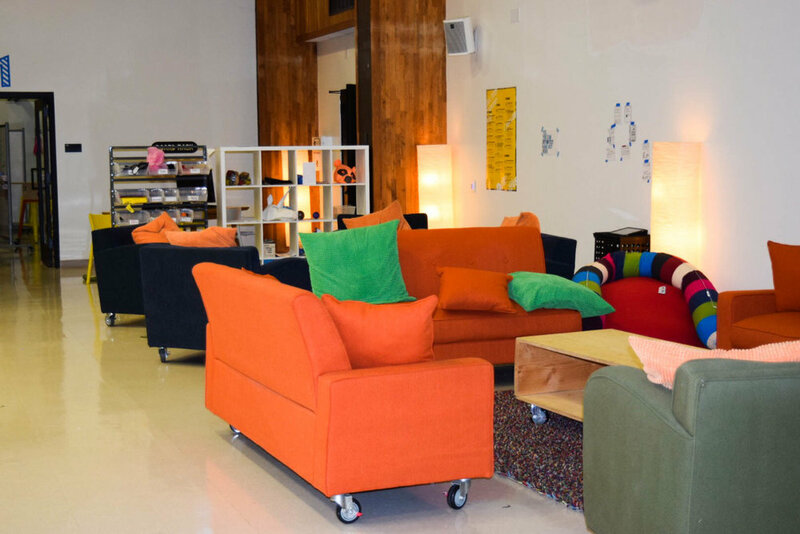 It is a space where students are encouraged to create and explore together. It is filled with free art supplies, art scraps, and quiet places to study. Many students come to create birthday gifts for their friends. The Hive has workshops such as sewing and metalsmithing. On “Maker Thursdays,” students come together to craft and use the woodshop. The Print Shop hosts workshops for making t-shirts, bags, and other clothes. Emma Kresh, CMC ‘22 and Annie Deckey, CMC ‘22 create button pins for a friend’s birthday. Cole Ritner, Pitzer ‘21 and Ellington Bramwell, Pomona ‘19 pose after finishing a screen printing workshop. To find out more visit their website and Facebook page. The Media studies lab is located in West Hall and has recording and editing rooms. These resources are available to students if they have special permission or are enrolled in a Pitzer media studies class. The lab also has an equipment rental where you can check out microphones, video cameras, and digital cameras. The Pitzer campus has many walls where students can paint murals. The gallery inside of the Edythe and Eli Broad Center displays student artwork, but only by students enrolled at Pitzer college. Pitzer also has a beautiful ceramics studio, though it is only available to Pitzer students who are working with Professor Timothy Berg, who is currently on sabbatical. Harvey Mudd is home to the Caryll Mudd and Norman F. Sprague Jr. Gallery, which is located on the lower level of the Shanahan Center. The gallery hosts student works from all the 5Cs as well as student work from the Claremont Graduate University. All kinds of media are welcome, including drawing, painting, sculpture, photography, video, spoken word, writing, and performance. Students submit work to the gallery every semester to be featured. Unfortunately, the submissions for the upcoming exhibit are closed, but announcements will be made in January for the Spring semester submissions. The Fall exhibition is open to everyone from October 25 to November 14, and the theme is symmetry. The gallery is currently filled with student art. The Harvey Mudd Concert Series organizes 15 to 20 concerts each year that are free and open to the public. The concerts take place in the 99-seat Drinkward Recital Hall. The programs include contemporary music, classical, opera, chamber, choir, jazz, computer, early music, world and international, and more. Typically, the performers are visiting professionals, but there are a few ways students can get involved. Talented music students and majors are selected to perform in chamber ensembles and as soloists in some of the concerts. Students in the Claremont Concert Choir and Treble Singers also perform as a part of the Joint Music Program. Claremont McKenna College is a part of the Joint Music Program and also contributes funding to the program. Every two weeks, Create Club meets at the Appleby tables. Contact CC Schwab (cschwab19@cmc.edu) to sign up! Some students at CMC are advocating for more art resources on the CMC campus, such as students Andria Tattersfield ‘21 and Anya Zimmerman-Smith ‘21. They hold Tuesday “art nights” in Marks around 8:45 pm. They leave their door open so that anyone can come in and create! Tattersfield said there is a gap in resources on campus. “I know people who are interested in art but there isn’t really a constant space for it,” she said. 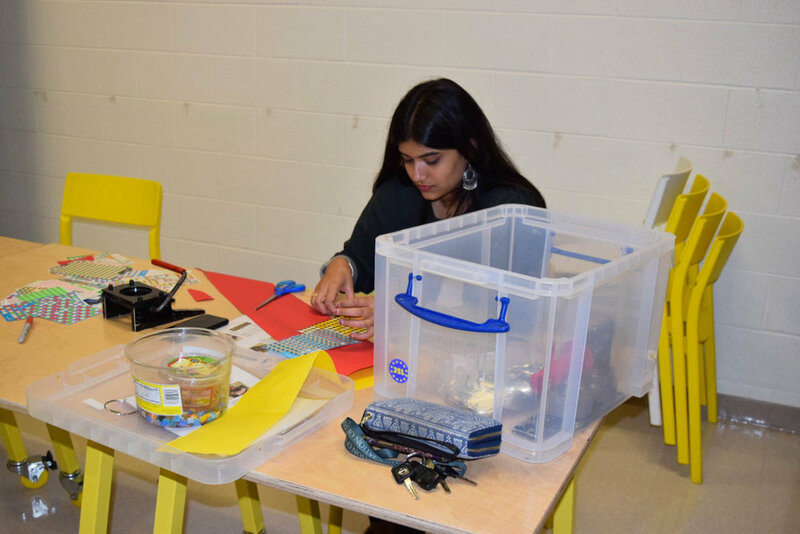 The two of them have created an inviting space where they provide art supplies and craft materials, but students are also welcome to bring their own supplies. Students like Tattersfield and Zimmerman-Smith are expanding the arts culture of CMC. Even though CMC does not support the arts as much as the other campuses, there are still many ways for students to get involved. These resources are often not visible, so it takes a watchful eye to catch them. Going to the Pomona Art Museum, seeing a play at the Seaver Theater, taking a ceramics class at Scripps or Pitzer, singing your heart out in the Claremont Concert Choir, and simply painting with friends are all ways to bring out your inner creativity.